I'm so excited for Christmas this year. Paige understands so much more than last year and is so excited. She walks around saying ho ho ho Merry Christmas and wants two presents. Hehe. 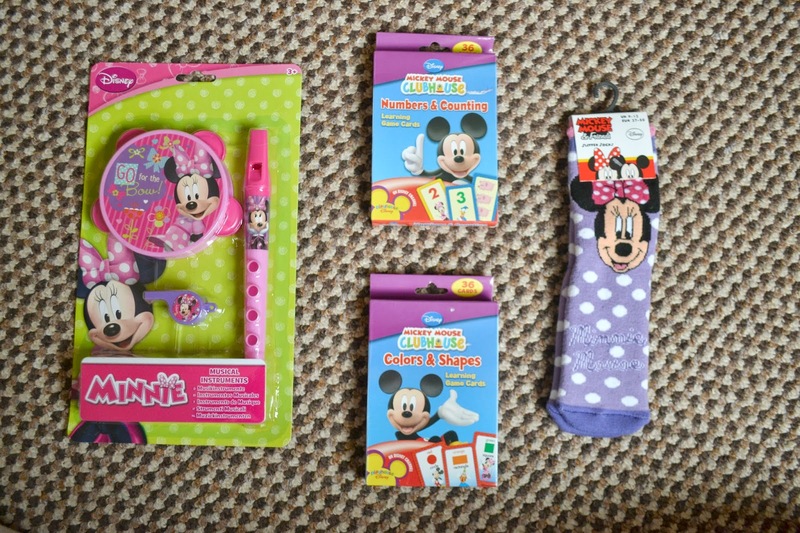 I had fun picking out the items for her stocking this year. Again we didn't want to go mad and everything we got wasn't expensive. First up you may see a theme... Mickey and Minnie Mouse. This theme may continue with her actual Christmas presents along with Peppa Pig. These items came from a pound shop. She loves music and is constantly dancing and singing so she will love this music set, even if I don't hehe. I saw these flash cards and just had to get them. They were 2 for £1. Her speech is coming along so much so I though these would help. Paige always sees my thick fluffy socks and wanted some so I got her these Minnie Mouse ones. Again for £1. She also loves my jewellery and dressing up so she will love this bracelet and necklace. It's so sweet and was from Primark for £1! She hasn't actually seen Frozen yet but she loves having her nails painted so we got her little blue sparkly polish to start her collection off. Lastly are the sweet treats. We didn't go mad but wanted to get her a few things for her stocking. A selection of Haribo. I figure that because they are in small packets we can portion the sweets a little more plus Paige loves Haribo. These were from Aldi and again weren't expensive. 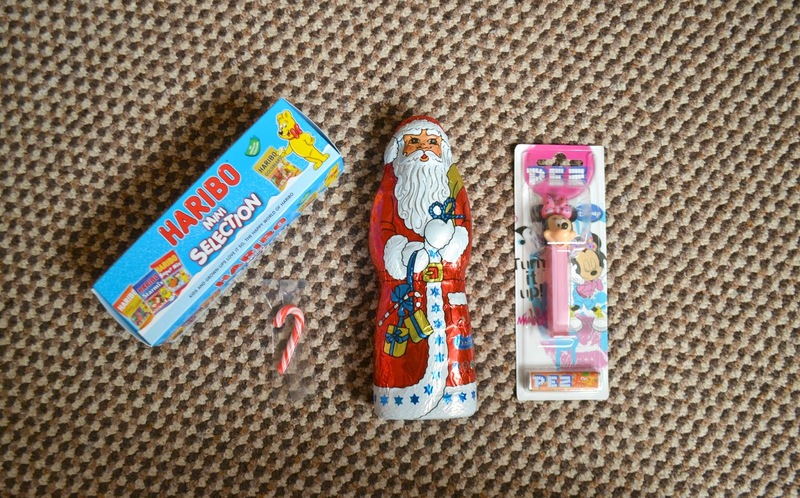 Next up a chocolate Santa. I think this was from Aldi too at around £1. 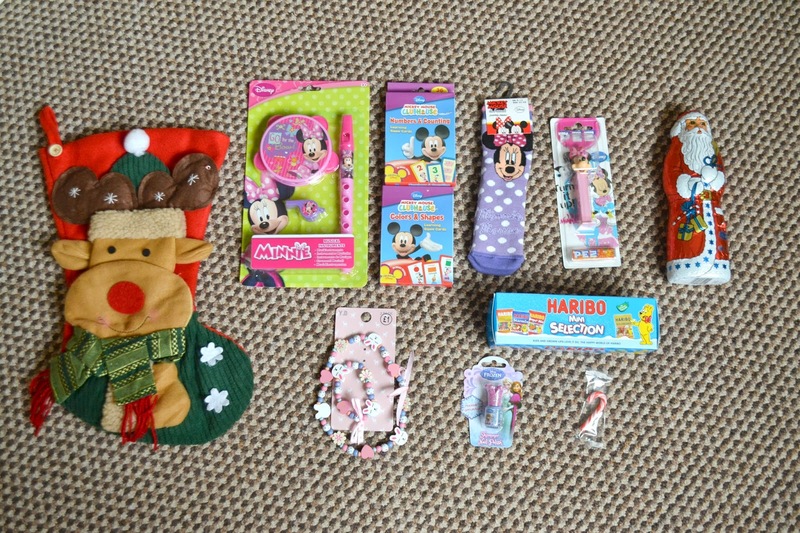 I saw this Minnie Mouse Pez in Primark. It was £1 and I couldn't resist. I used to love these as a child and I think Paige will too. Lastly is a mini candy cane... Just because I had some left over. 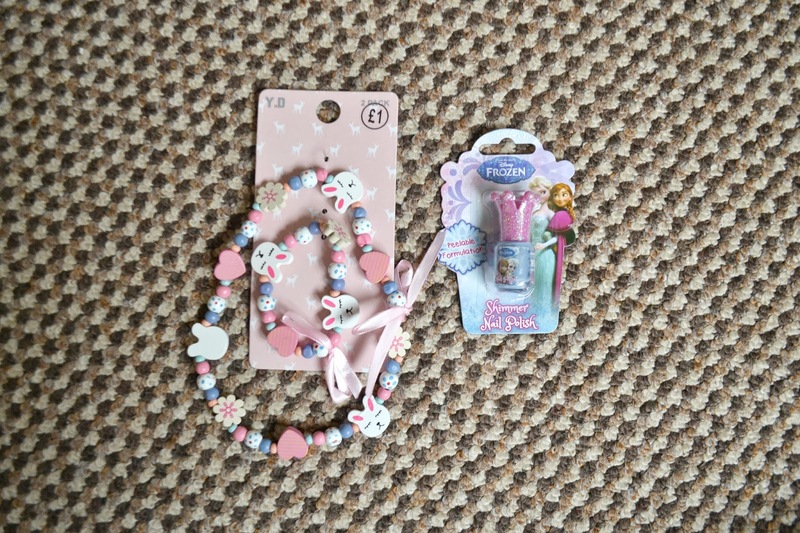 I don't think that stocking fillers should be expensive and I think Paige will love these little gifts. I can't wait for her to jump into our bed with us on Christmas morning and open them up!